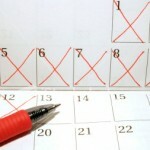 DanaSchmoyer.com » Blog Archive » Only 10 Weeks Left! 29 May 2009 Only 10 Weeks Left! Wow that doesn’t sound long at all to me! To Tim it does though, but I so don’t feel ready to have a little one around the house to take care of. I like that it doesn’t take me any longer to get around and go somewhere with Baby Schmoyer. I have lost count of how many books I’ve read on pregnancy, labor and delivery and now what to do when the baby is here. I feel like I still have tons to learn in these next 10 weeks, and am okay with waiting that long before seeing our bundle of joy. Don’t get me wrong, I am really excited about Baby Schmoyer joining us. I love to day-dream about what life will be like with the little one around. I just don’t feel ready. I wanted to do a quick update on how I’m doing besides the anxiety of not feeling ready for Baby Schmoyer to make his/her presence. 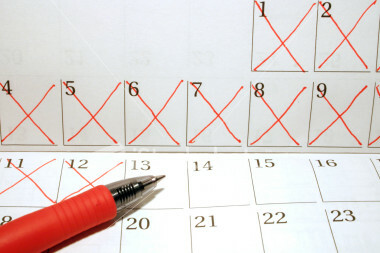 The reality that there is only 10 weeks left has not hit yet, nor the fact that May is almost over. Time has flown! Baby Schmoyer seems to be very active lately, or now that s/he is 3lbs I can just feel every movement. My belly has apparently been growing with Tim saying it’s bigger and me getting reactions about it from others. I haven’t noticed a difference in size, and think it’s strange that others can tell, but I can’t. Oh well. Getting out of bed has become more of a struggle with the extra weight in the front, so I guess everyone is right with saying my belly has grown. I laugh every time Baby Schmoyer really starts moving. It cracks me up to see my belly move so much, and kinda tickles. I still check our baby registries every day. It’s not as exciting as it was in the beginning, but it’s become a habit. I keep my eye out on craigslist for things that Tim and I could find cheaper and don’t mind getting used. I’m trying to get myself in the habit of keeping the house clean by keeping things in their places. It’s a struggle, but I’m slowly getting there. This is probably the number one thing I want to get down before Baby Schmoyer arrives. I am now going to the doctor every 2 weeks, which just seems crazy and makes it feel like Baby will be here before we know it. I only have 2 more visit with my current doctor before he is done at the office, and I switch to a new doctor for the rest of my pregnancy. I’m bummed about it, but am handling it okay. I have moved most of my stuff out of the office, which will be the nursery for Baby Schmoyer. Now we just have to get Tim’s stuff out sometime this summer. I don’t really see the need to do all the moving until we get a crib, but am not sure if we’ll get that before Baby is here, so at the latest I figure sometime in mid July would be good to move everything. So we’re not doing it after Baby Schmoyer arrives. My hands are swollen most mornings when I wake up which puts me in panic that I wont be able to wear my wedding rings much longer. In the afternoon they return to normal though and I start to calm down. I really don’t want to be a swollen pregnant lady. Tuesday starts our 4 weeks of birthing classes. I have really enjoyed watching Tim talk to Baby Schmoyer, I can’t wait to see him interact in person with our baby. That was a longer list than I expected to type out, but I don’t feel like I’ve blogged too much about Baby Schmoyer. When we first got pregnant I figured everything I wrote would be about Baby. I’m sure I still left out some stuff, but that’s all I could think of at the moment. I believe you are feeling what just about every mom felt before their first child arrived. You can never be ready with some things and well this is one. Good luck with getting that habit of keepign things in its place. I should try that!